Dreams do come true even at age 44, says Mitoy Yonting, winner of the first season of The Voice of the Philippines. Yes, folks. Finally, Mitoy Yonting releases his 30 years in the making album entitled Hanggang Wakas at Resorts World last Saturday to the delight of his fans. It is my first time to see him perform live together with his band Draybers. Mitoy is such a funny man. He would crack jokes while singing and in between numbers but he was half joking when he said that it took him 30 years to finally release his very own album. He said that 30 years ago, he dreamt to release an album and finally that dream is now a reality. Not only that, he also wrote several songs in this album such as “Ikaw Hanggang Wakas,” “Kaibigan” and "Magulang" featuring Bassilyo, which happened to be my favorite. According to Mitoy, he wrote "Magulang" in three (3) days when he and his band draybers were conned by a commissioner in Macau. So dream big and believe just like Mitoy. Mitoy Yonting’s Hanggang Wakas (Universal Music Philippines) in CDs is available at Astroplus and Odyssey outlets and digital downloads via spinnr.ph and iTunes. It can also be streamed via Deezer and Spotify. For bookings and inquiries, call Sammy Samaniego of MCA Music Artist Management at 916-2504 local 107, (0917) 856-5174 and (0920) 968-2991. 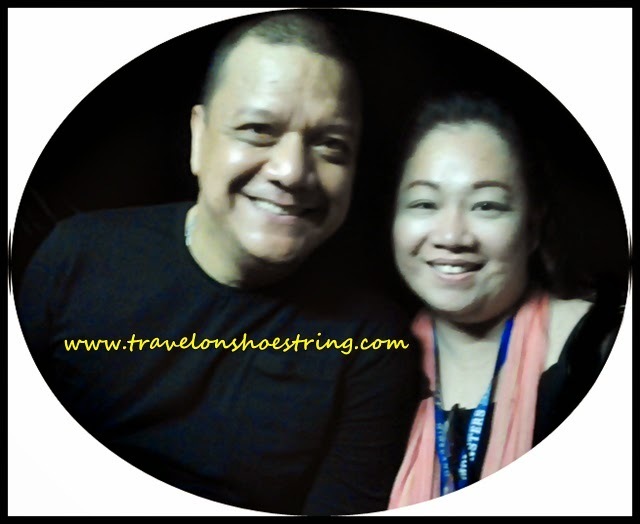 For more new and updates on Mitoy Yonting, log on to the following sites: www.facebook.com/mcamusic or www.twitter.com/mca_music.